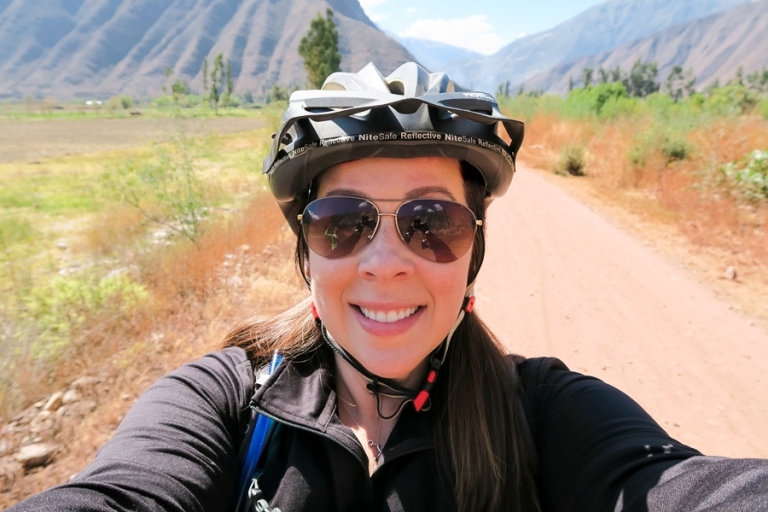 The first half of our bike ride was exactly what I envisioned – peacefully riding a wide dirt road along the river and taking in the fresh air, pedaling with breathtaking scenic views of the mountains, and waving to the occasional locals working the land. The second half of our ride took a bit of a weird turn though! 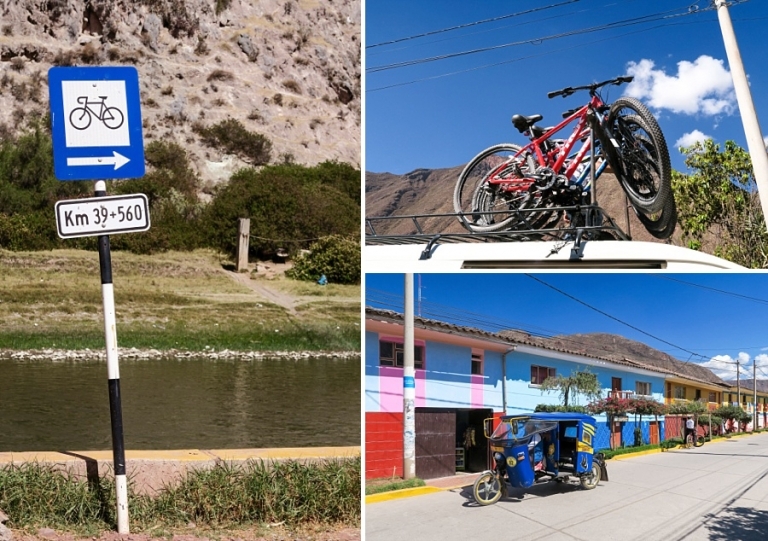 Following our guides, we crossed a road over into the town and exchanged our peaceful tra-la-la style ride into a hectic mix of dodging town traffic, riding narrow paths with challenging terrain (at least challenging for a beginner mountain biker; Chris did great with all of it, of course), and hauling ourselves up some hills that sometimes forced me to walk my bike up the slope. It was more of a frustrated stomp rather than walk, really. Granted, I found out at the end I was using a gear that was way too heavy for riding uphill, but still. Combine that with almost falling over every time I didn’t successfully navigate an obstacle plus my mismanaged expectations, and I got a little cranky on the second half of the ride. I clearly needed more mountain biking skills to enjoy this half of the excursion. In hindsight, we wouldn’t have chosen the bike ride if it wasn’t connected to the brewery (we sound like two lushes, but we just enjoy trying new beers!). I’m glad we still went though. 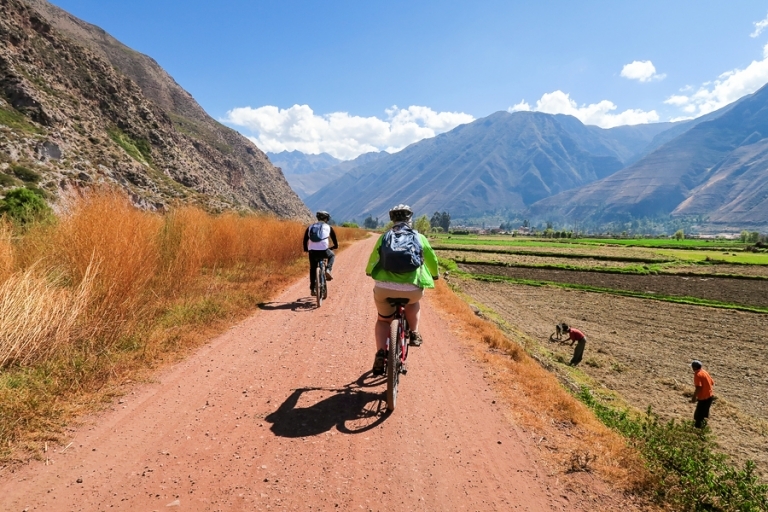 I loved the first half and it’s not like I get to ride a bike through the Sacred Valley of Peru every day. And apparently I provided some good entertainment to the townspeople as I screamed my way through several blind traffic intersections. You’re welcome, Urubamba! 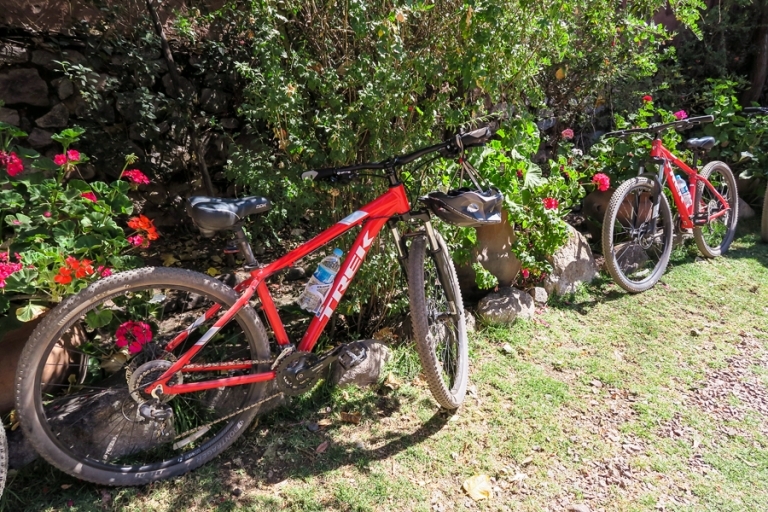 I happily ditched the mountain bike and helmet when we ended up at our fairytale accommodations for the night, K’uychi Rumi Lodges. Seriously. Look at the cute little path we took to get to our lodge. Every inch of the path was lined with dozens of different varieties of flowers. There was even a lime tree. I couldn’t put my camera down! After unlocking the front door with our llama keychained-key, we walked into a large, airy space with a cozy rustic feel. We had access to a full kitchen, a dining room, a sunken living room, and there was a bedroom on the first floor along with a bathroom. Tea and coca leaves were available for our enjoyment. I forgot to take a photo, but the door in the kitchen exited to a cute garden area with outdoor seating. Upstairs we found another bedroom and a second bathroom. Some of the people in our group shared a lodge, but we ended up having this one to ourselves. We would have loved having all of this space if we were staying in the area for a few nights! Not only was I happy to get settled in, but I was even happier that lunch was next on the schedule, and we were treated to a delicious Peruvian-style barbecue (that I totally forgot to photograph because I was ravenous) in a lovely outdoor setting. 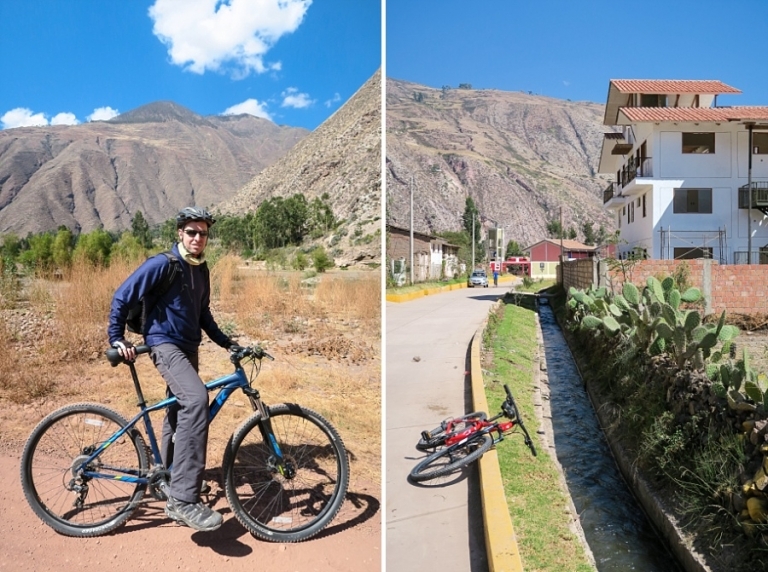 With satisfied bellies, we all headed out in the late afternoon for a quick stroll through the town of Ollyantaytambo with its Incan water system (aqueduct canals cut out of stone) and the original Incan street names. And finally, we ended up at Cervecería Del Valle Sagrado. Chris and I loved this little brewery in the valley, and had fun trying a couple of their brews. The place and the line-up on tap reminded us more of an American style than what we pictured when thinking of a Peruvian craft brewery, but for good reason – the original brewmaster hails from Washington, D.C., and originally started his foray into brewing in Oregon! We took a tour in addition to trying a couple of pints (all of the glassware for flights was currently in-use) and learned how the crew sources their ingredients and produces a final product. They’ve won some awards and the tap room was quite busy, so it looks like the craft beer scene is alive and well deep in the Sacred Valley. Next in the queue: a drama-filled Day Six as we return to Ollantaytambo to try to see the Sun Temple amidst some local turmoil!